Student protest. The tear gas and water cannon made me walk faster. Despite the streaming eyes, a good result. View of Santiago from Cerro San Cristóbal. 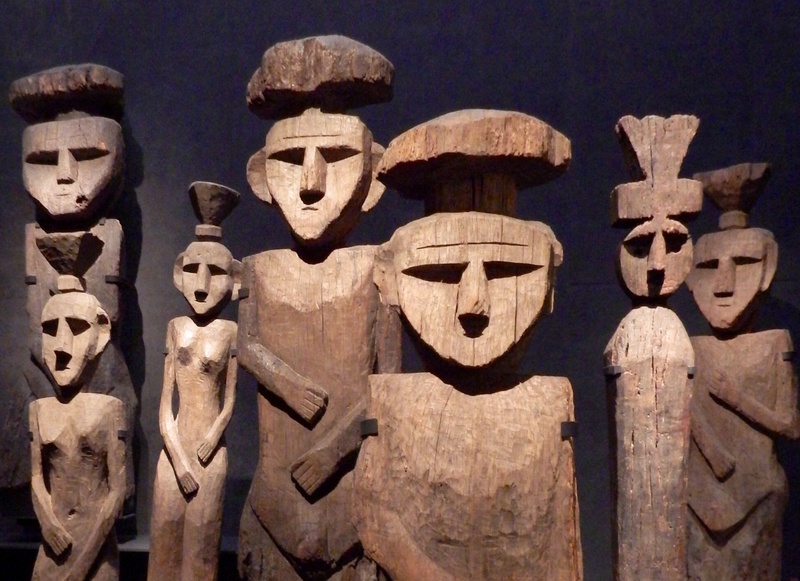 ‘Chile Before Chile’ exhibition at the Museo Chileno de Arte Precolombino. Spotted at one of the university buildings. This is a city where you have to keep looking up. You might miss something. 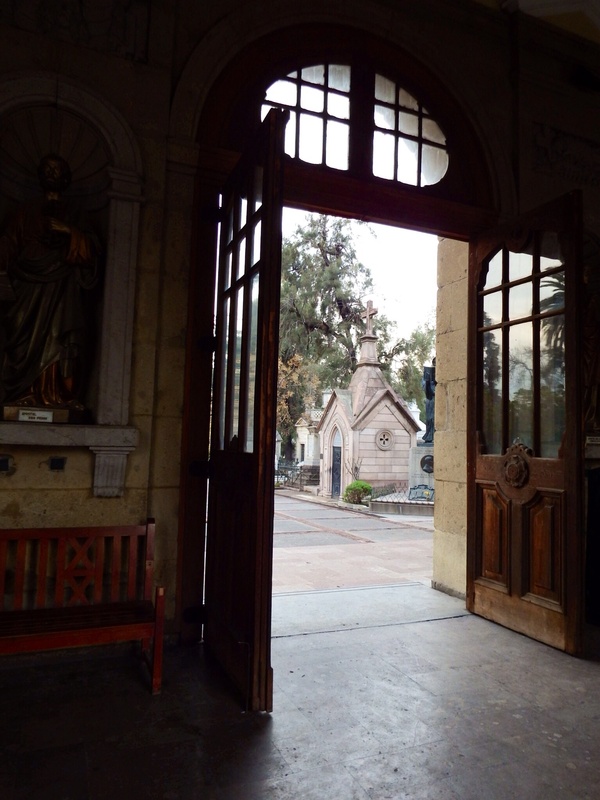 I wouldn’t think of visiting the Cementario General, but I’m glad I did. The architecture is stunning. 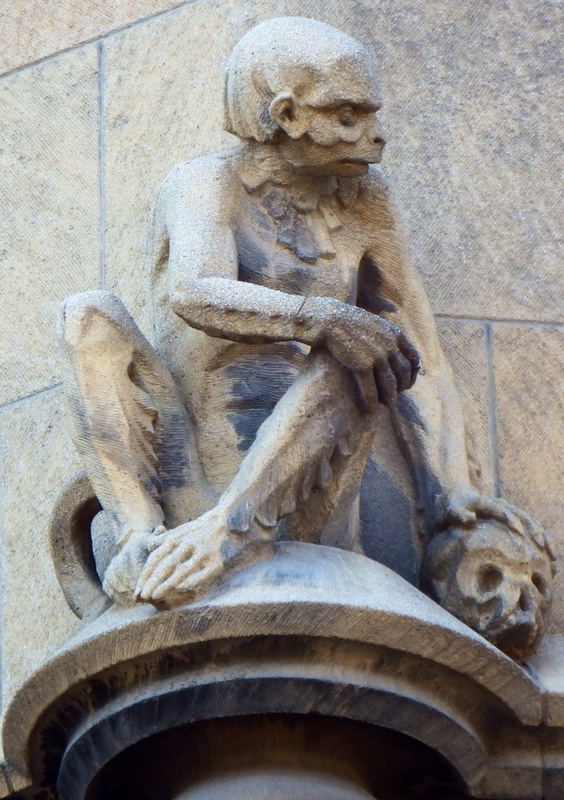 I was accompanying a friend who was a clown – strange but true. There are special areas where people are buried according to their profession and her fellow payasos had a mausoleum in the shape of a Big Top. 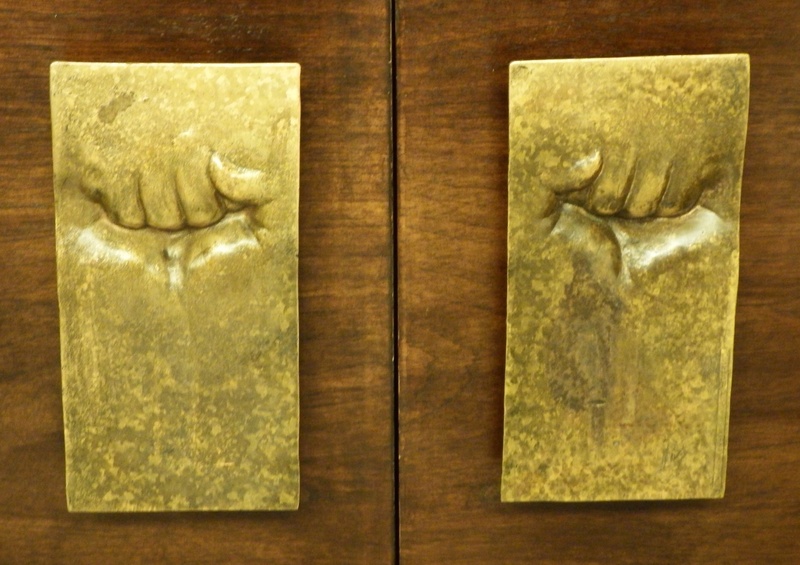 Ricardo Mesa’s raised fists door handles at the Gabriela Mistral Centre. I was told they were turned upside down during Pinochet’s military rule. 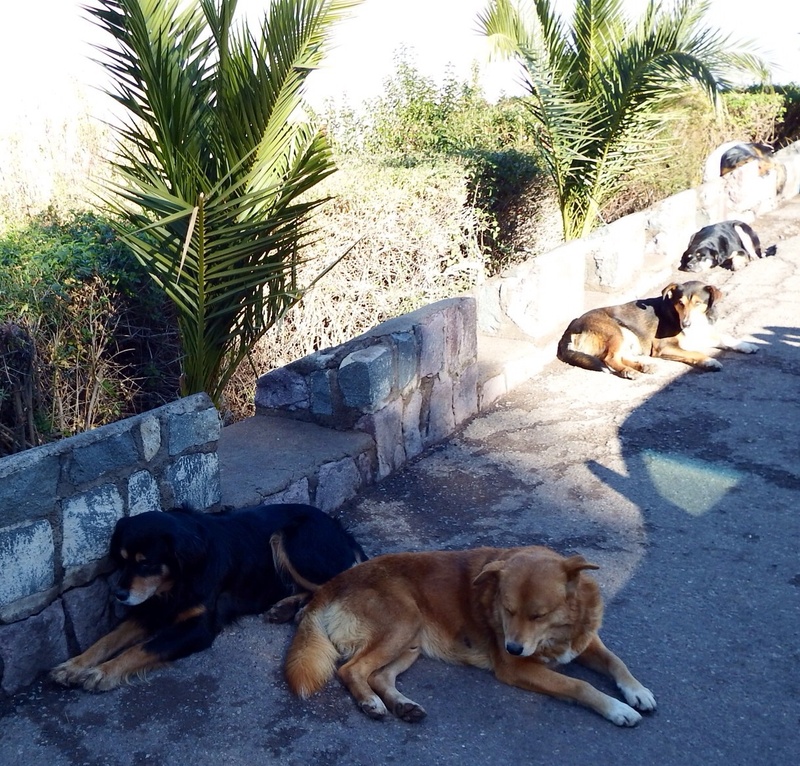 There are stray dogs everywhere. Apparently, over 2,000,000 in Santiago. 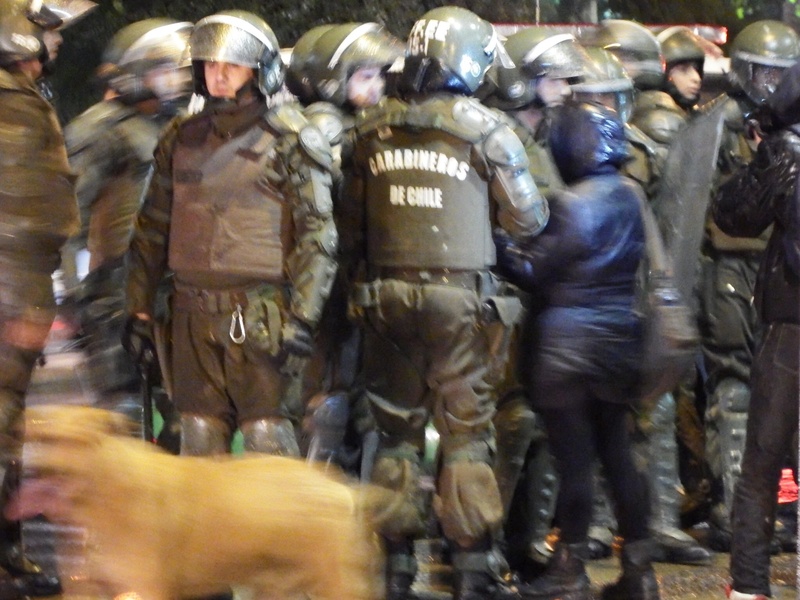 They’ll happily follow you from A to B – I even saw them running around with the protestors and the police. Some of them look quite healthy and have doggy coats because people look after them. This isn’t a wardrobe – it’s a lavatory. Who knew that Narnia was at a restaurant in Santiago? 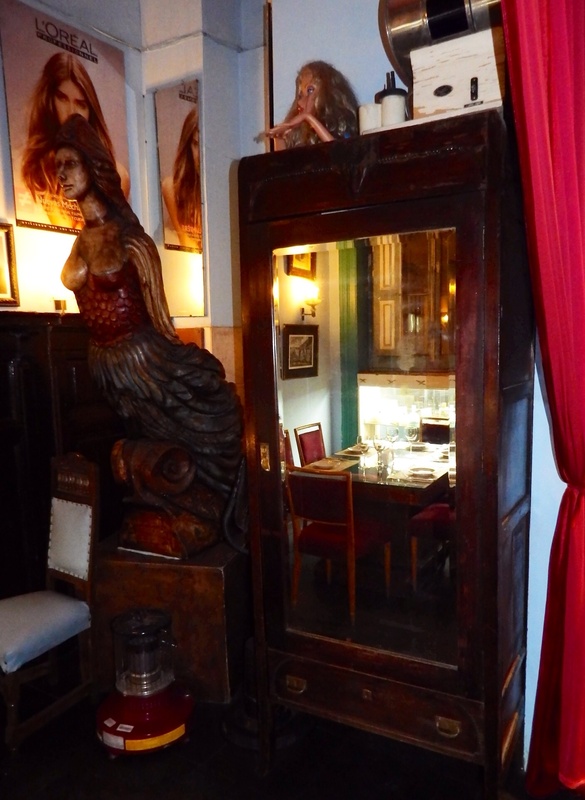 Peluquería Francesca is worth a visit just to check out the quirky antique interior. A good hot chocolate too, on a cold day. Next stop – New Zealand.